Roath Park, Cardiff. Most of the land for Roath Park, in the largest suburb of Cardiff (see Newman 297), was given by the Marquess of Bute in 1887. Two other people also contributed smaller areas of land, bringing it to 120 acres in all, making it at that time the largest park in Wales. In 1889, the Derbyshire landscape gardeners, William Barron & Son, were commissioned to lay out the plot. The park was opened on 20 June 1894 by the Marquess's heir, on his thirteenth birthday (see Newman 310, and Illustrated Guide, 101-03). The "lighthouse" clock-tower seen here was added later: it is a memorial to Captain Scott's doomed expedition to Antarctica, which set sail on 15 June 1910 from the Port of Cardiff (as the inscription facing the promedade explains) and was installed here in 1915. 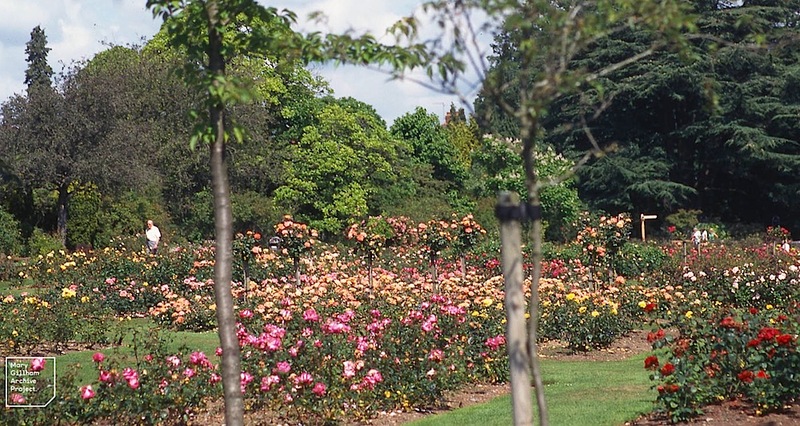 Left: Roath Park rose garden (from the Dr Mary Gillham Archive). 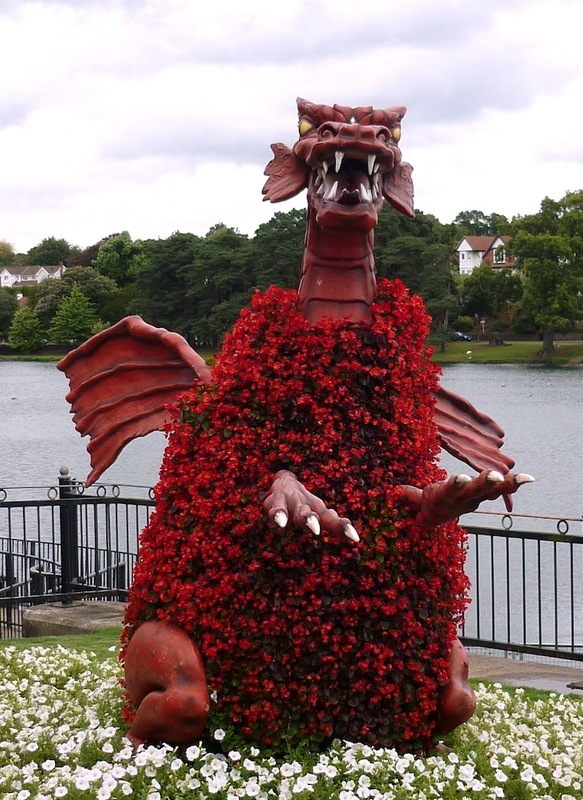 Right: A floral Welsh dragon. In the end, what had once been a swamp became one of Cardiff's favourite open spaces, with not only a thirty-acre artificial lake, but a recreation ground, walks among flowerbeds, Botanical Gardens, a wild garden and so on (Newman 310). It is still beautiful today, and still has a Victorian flavour about it, something which is enhanced by the many fine late-Victorian houses in its vicinity. The Illustrated guide to Cardiff and its neighbourhood. Western Mail, 1897. Internet Archive. Contributed by Harvard University. Web. 4 May 2018. Newman, John. Glamorgan: Mid Glamorgan, South Glamorgan and West Glamorgan (The Buildings of Wales series). London: Penguin; and University of Wales Press, 1995. 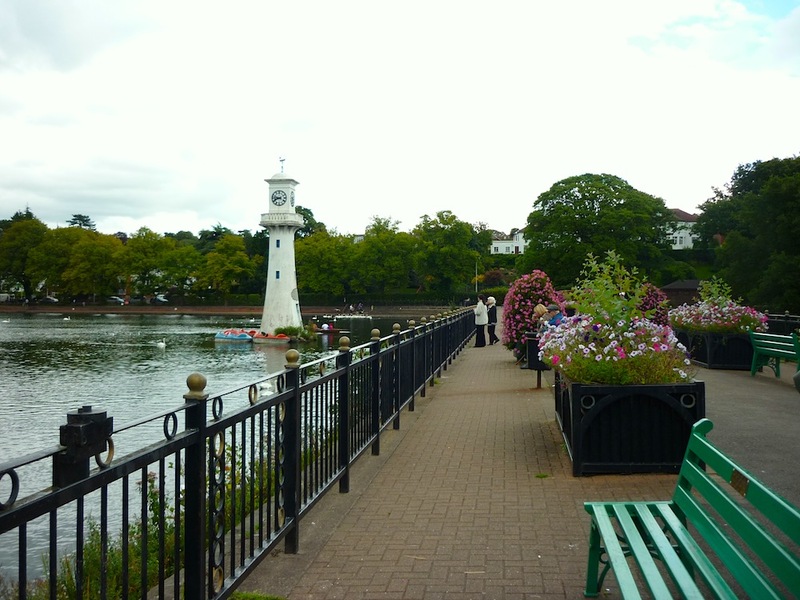 "Roath Park." Cardiff.gov.uk. Web. 4 May 2018.